I’ve noticed that more and more of the races I’ve been to over the past few years have been getting serious and offering solid prize money to competitors. This is a good thing for the sport in my opinion, as it makes us more professional and helps support the elite athletes, some of whom literally train full time for these events. But first let me just say: I am a big believer that if you host a well run, organized, fun event, then people will participate regardless of prize money. I don’t believe we should be paddling just for the money, and a cash prize purse is not absolutely required to draw good paddlers, however it can definitely help if done right. Well, every race director has their own reasoning, which I’m sure they think is logical and fair (and maybe it is). The main rationale seems to be that there are more male contestants in our sport, so the men should get more. But is this fair? And is it right? I’m not here to decide a definitive answer to that, nor do I particularly want to. 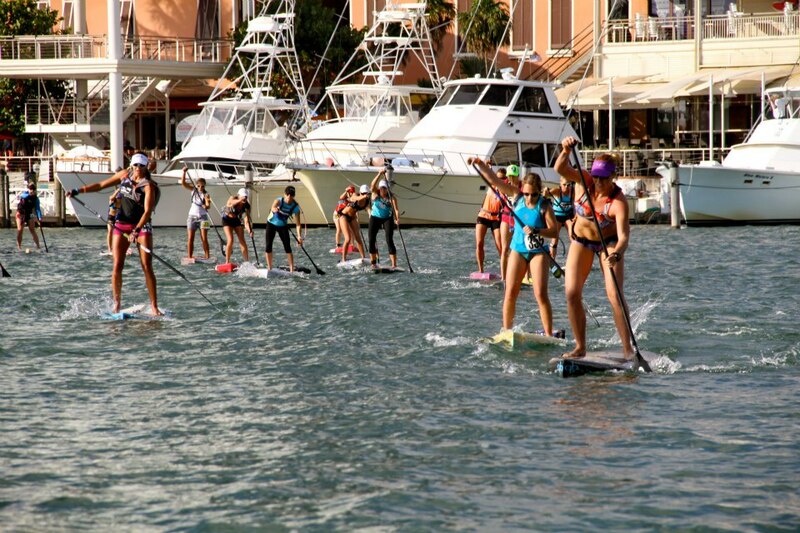 However I DO want to suggest what could be a good solution and what may help close the gap between the number of females and males competing at SUP races. In today’s world there is big push for gender equality in sports. We saw it with Title 9 collegiate sports encouraging the growth of women’s sport opportunities at Universities all over the US. We see it in the Olympic games now too, where each sport is being encouraged (if not mandated) to have an equal number of men’s events as women’s events. In fact any new sports added to the Olympic schedule must have equal gender opportunity. But in SUP, despite there being so many women involved in our sport on a recreational level, the races are still dominated by men, both in terms of participation and prize money. So how do we encourage more women to compete? And how do we make the prize money fair for the women at the elite level? however I’m not convinced it’s necessarily the best solution. So what is the best solution? How do we make it fair for both the elite guys and girls, while also encouraging more women to get into our sport at the same time? It’s a tough one, especially for a sport as fragmented and fast-growing as ours. 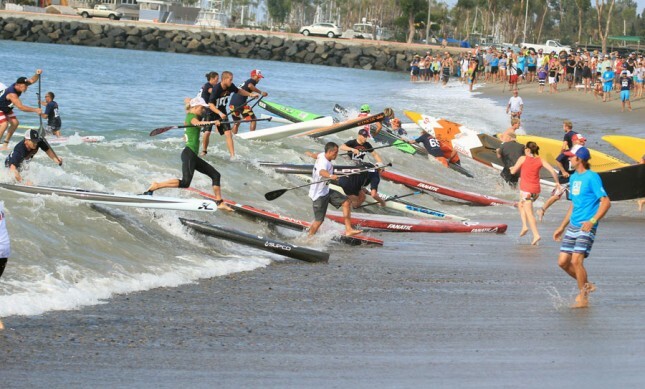 No two SUP races are the same and there is no set world tour where the same athletes enter each event in the same numbers. We’re not like Tennis where each event has an equal amount of men and women, or like pro surfing where the same surfers are at each competition. But I still think we can make the prize money situation fairer than what we’ve currently got, and I also think we can encourage more women to compete at the same time. Here’s what I’ve been thinking… Take a close look and let me know if you agree or disagree. Step #1: The Main Lake SUP Race announces that their total cash prize purse is going to be $10,000 this year. Not bad! The organisers announce this several months before the race. Step #2: While the prize money will be announced well ahead of time, the prize money SPLIT will NOT be announced until race day. Step #3: The total prize purse at the Main Lake SUP Race is going to be divided based on gender participation. If there are 100 competitors and 60 are women / 40 are men, then the women are competing for $6,000 (60% of the prize money) and the men are chasing $4,000 (40% of the purse). all of those paddlers will be counted towards the prize money split, which in this case is 60/40 in favour of the girls. I believe this will encourage more first-time women to get into paddling. Apart from having fun and competing, these girls will be able to participate knowing that they’re helping out the elite girls who are pioneering this sport for women. It’ll also give an additional incentive for the elite girls to encourage their friends, their paddle clinic attendees and the whole female paddling community in general to come out and race. All of this, I believe, will mean more women in the sport of Stand Up Paddleboard racing AND more money for the elite girls who compete at the highest level, many of whom are full time athletes just like the elite guys. The Main Lake SUP Race would announce that they’re using this new approach to splitting the prize money at the same time they announce the prize pool (hopefully months before the race). The final split won’t be known until race day of course, when final registration is complete, but by announcing the plan several months out, it gives paddlers plenty of time to get motivated and encourage their friends to race. Now I don’t want this to sound like it’ll be a battle of the sexes, with each side trying to stack the numbers to beef up their respective prize money splits, and I don’t think it will be, but if there’s an effective way to get more people to a race, especially women, then why not encourage it? 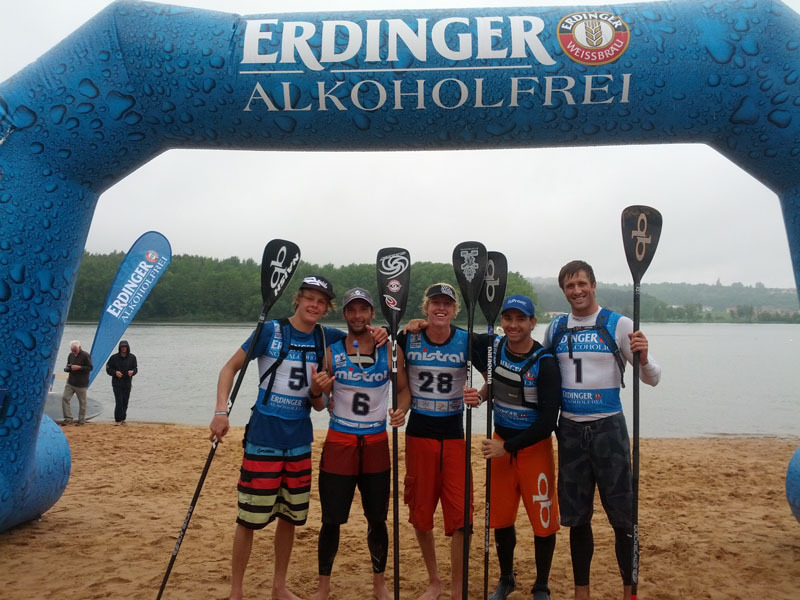 And if more and more paddlers turn up at the Main Lake SUP Race this year, the event will be even bigger and better next year, with more sponsors and more prize money. The women will get more prize money because the split is fairer, and the guys will get more prize money because the added participation of women has grown the event and attracted bigger sponsors. A bunch of us discussed this topic at great length in Germany six weeks ago, where many of the world’s fastest paddlers were competing at the excellent Lost Mills event. That event, like most, offered the guys more prize money than the girls. It also had a lot more guys competing than women. Technically it was harder to win the men’s race, as the level of competition ran deeper, which is another argument for why we should use participation-based prize money splits. Many of the world’s top female SUP athletes, some of which Quickblade Paddles proudly sponsors, have been very vocal in their call for equal prize money payouts between men and women. I have the utmost respect for these women and appreciate their position, but I don’t believe we should have a blanket 50/50 split in a sport that is as young as Stand Up Paddle racing, where there is so little structure and never the same group of paddlers competing at two different races. I also know a lot of the elite guys have resented the fact that some races offer a 50/50 prize money split regardless of participation. So while I don’t agree with a 50/50 split, at least not until our sport has a lot more structure, I also don’t agree with giving men more prize money regardless. That’s why I believe my solution above would work great. It’s not perfect, but I do believe it’s the FAIREST way to do it, and that it’s better than what we have in the sport right now. As I said, I also believe it would encourage MORE WOMEN to get into the sport of stand up paddling, which in turn would mean more prize money for the girls at the top of their game. This would grow the sport, resulting in bigger events, better race sponsors and, eventually, more prize money for the GUYS as well. I know this is a sensitive topic but I felt it was time to try and find a fairer solution. But what do you think? Is this fair? Would it encourage more women to compete? And at the end of the day, would it grow the sport of SUP racing for both men and women?